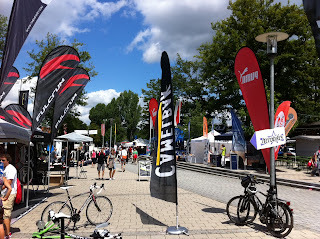 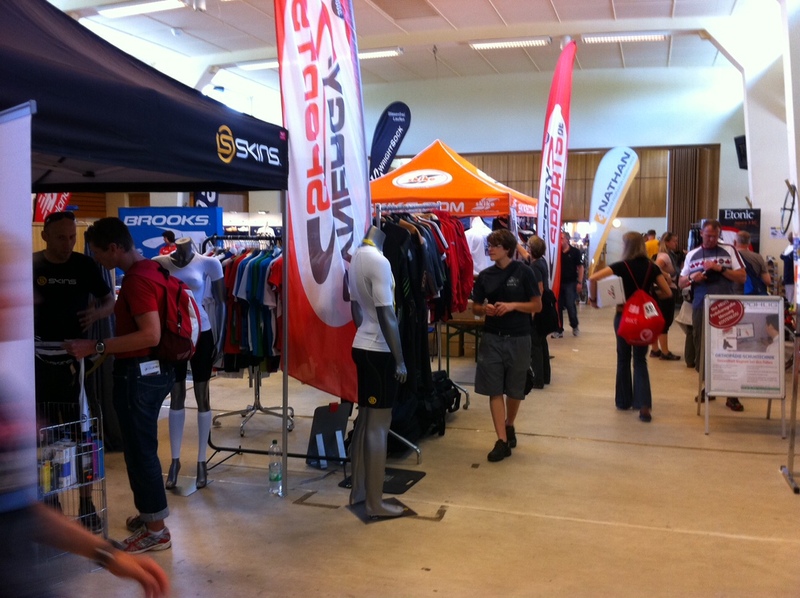 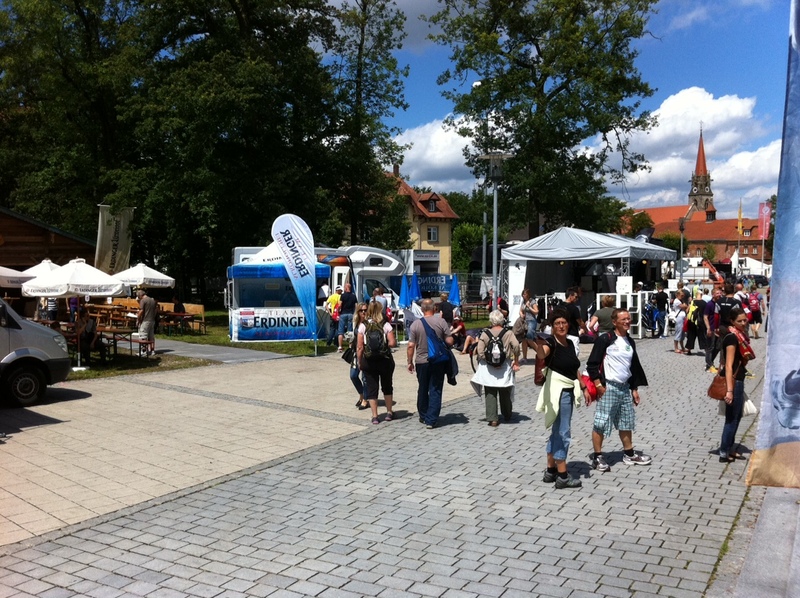 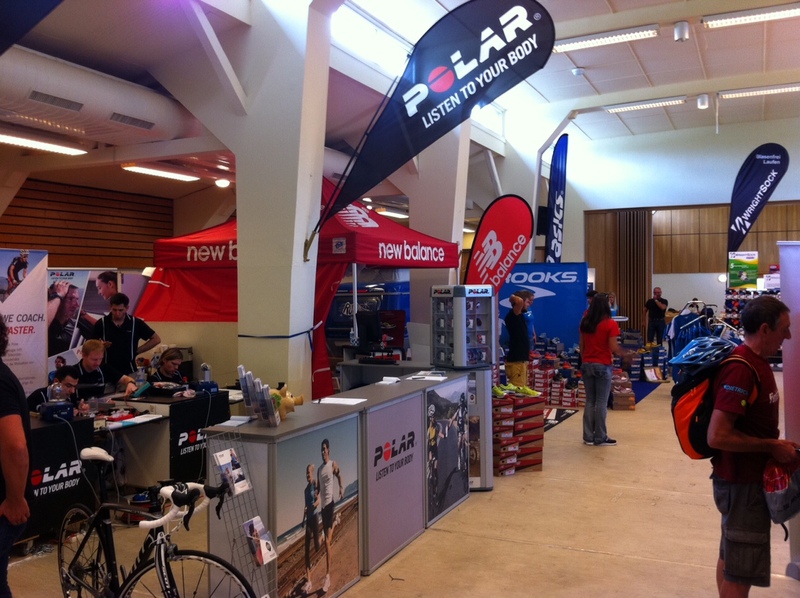 Today we went to the Challenge Roth race registration and expo. 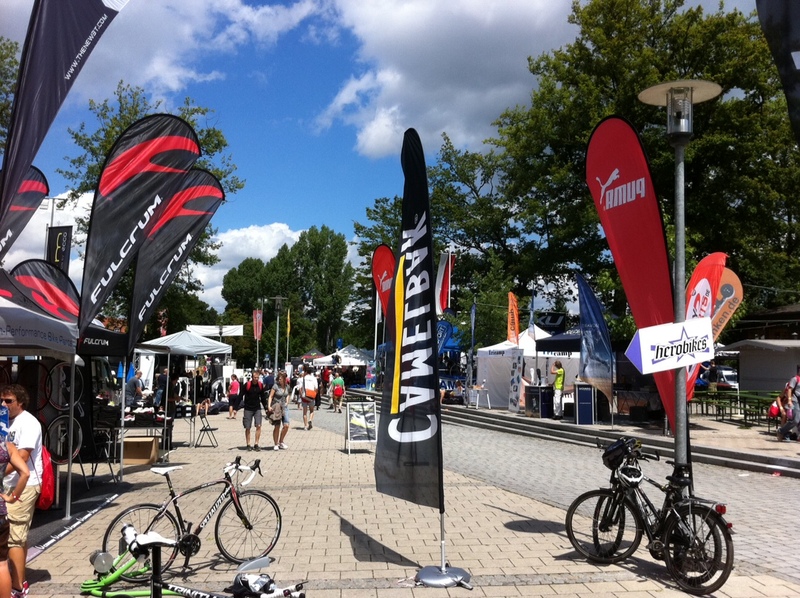 Challenge Roth is the biggest iron distance triathlon in the world in terms of participants. 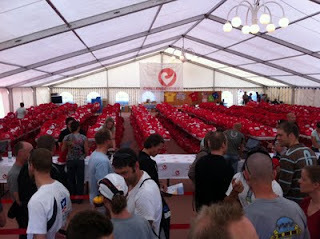 This year almost 4700! 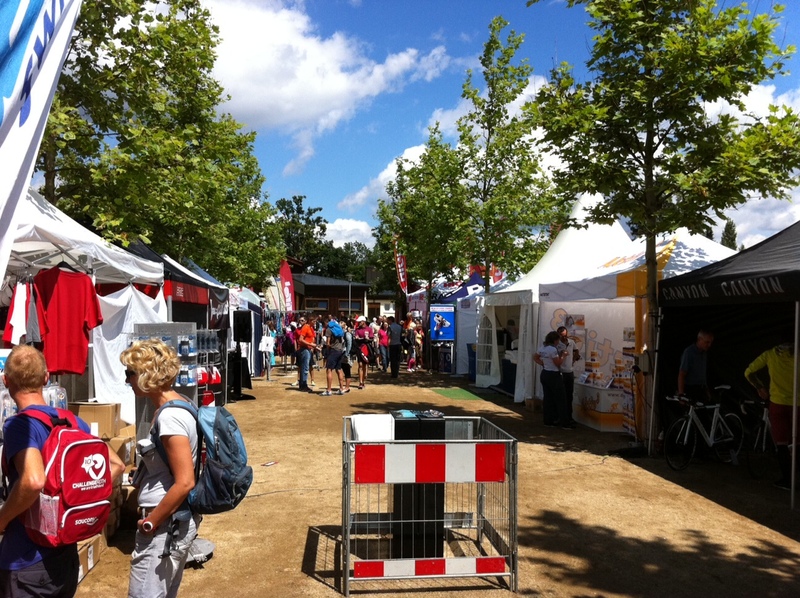 The expo is so big that it can't fit into any tent or building close by, so there's rows and rows of stalls outsite plus more inside the city hall. 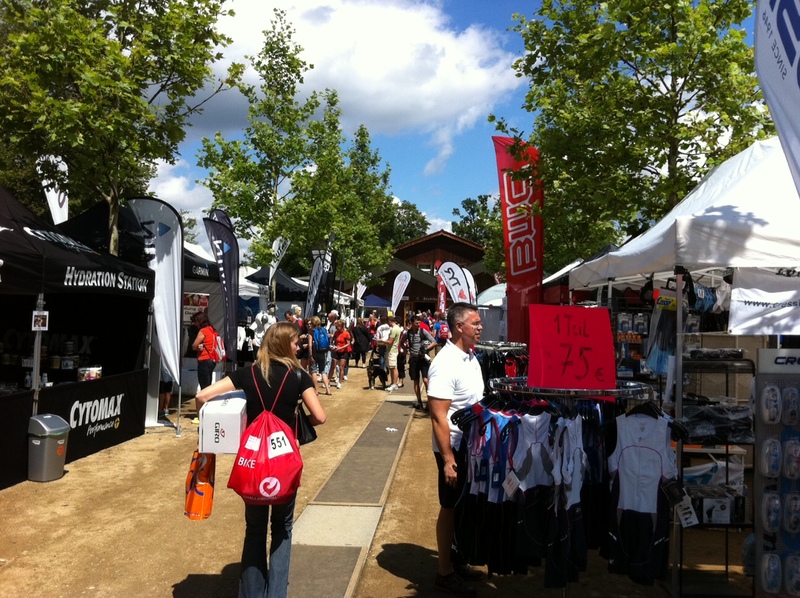 You can find any of the latest swim, bike, run, nutrition related products. 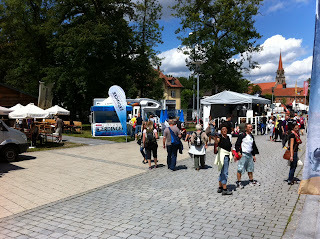 ...and a biergarten! Die registrasiegebied lyk iets ysliks kleurvol! Sal graag jou en Terené se nommers wil weet. 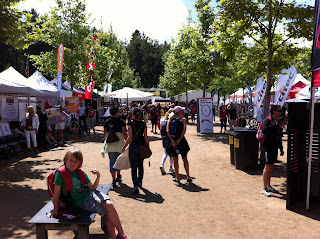 Meer as 50 000 jaar gelede was ons voorouers al in Europa.